There can be many reasons why a ministry is not growing. Here are a few of the barriers. You are in a very small community. You can reach some people, maybe even a couple hundred, but you can't reach 10,000 people if there are only 700 people who live in your town and the surrounding area. Your building is full. Once your building capacity reaches 85 percent, you will stop growing until you add more space or additional service times. The members don't want to grow. Usually this is caused by a few families who control the congregation. They know if the church grows, they may lose their power, and so they push new people away. Unwillingness to change. Change is resisted because the members are enamored by the "good old days." They refuse to change and so they become irrelevant. Complacency. The church grows content with where they are and have no desire to grow. They like things the way they are. These are all valid reasons why a ministry doesn't grow. But I believe the biggest reason a ministry doesn't grow is because of the leader. As the leader of the ministry, if you are not personally growing, it will be hard for the ministry to grow. 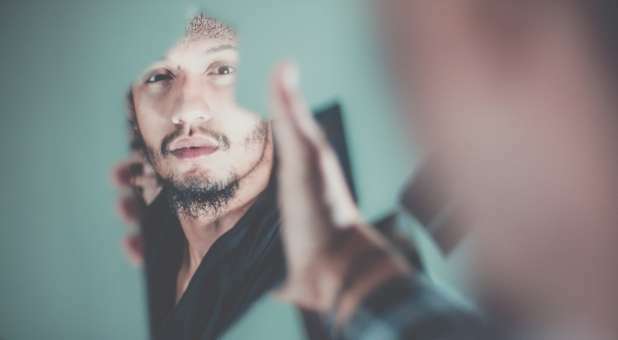 The most challenging person to lead in your ministry is the person you look at in the mirror every morning. The person you have to spend the most energy growing is yourself. The hardest person to motivate at times is yourself. Rick Warren talks about how he stopped focusing on the church growing and instead focused on growing himself. As he grew, the ministry grew. Yes, it can happen. You can become the biggest barrier to your ministry growing. You can become the lid. If this is you, don't be discouraged. We've all had times when we hit a personal slump. The key is to take steps to start growing again as a leader. Connect with some other leaders and ask for help. What is a book I should read? What conference should I attend? Who do you know whom I should connect with? Who should I ask to come alongside me and invest in me? Who has led a ministry larger than ours of whom I could ask questions? If you are a ministry of 100, then ask someone who is leading a ministry of 200 how they grew to that level. If you are a ministry of 500, then ask someone who is leading a ministry of 1,000 what they had to personally stop or start doing to get there. If you are a ministry of 1,000, then ask someone who is leading a ministry of 5,000 how they grew to that level. As you begin to grow, you will see the ministry begin to grow. Keep growing, so you don't become the greatest barrier to the ministry growing.